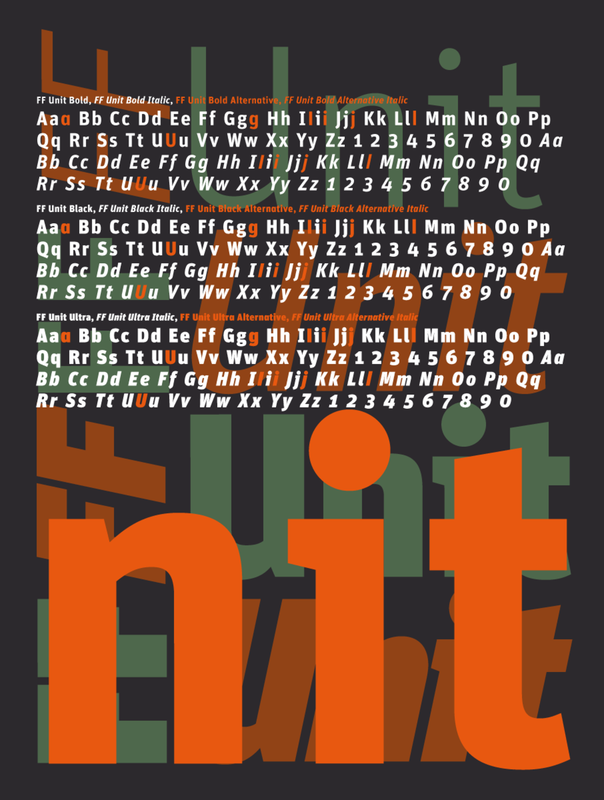 Designed by Erik Spiekermann and Christian Schwartz in 2003. 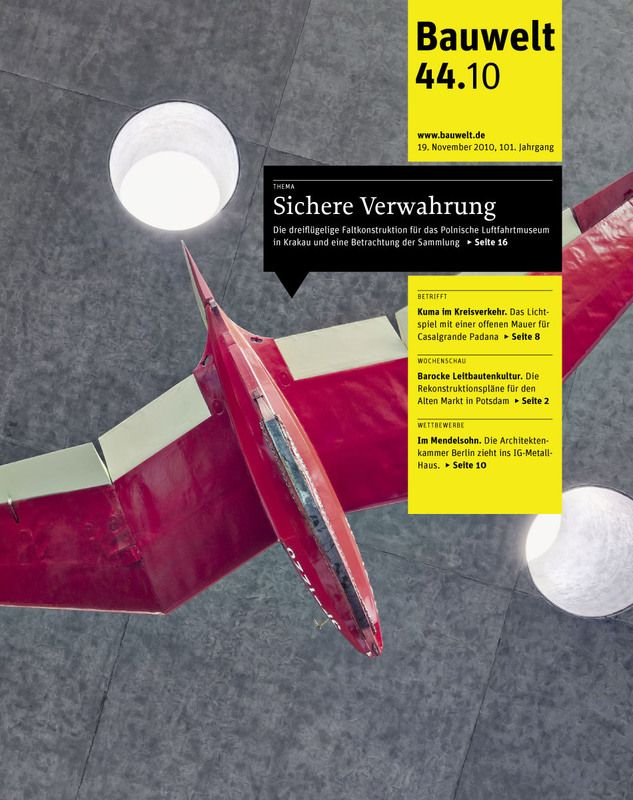 Published by FontFont as part of the FF Unit Super Family. FF Unit supports up to 107 different languages such as Spanish, English, Portuguese, Russian, German, French, Turkish, Italian, Polish, Ukrainian, Uzbek, Kurdish (Latin), Azerbaijani (Latin), Romanian, Dutch, Greek, Hungarian, Kazakh (Latin), Serbian (Latin), Serbian (Cyrillic), Czech, Bulgarian, Swedish, Belarusian (Cyrillic), Belarusian (Latin), Croatian, Finnish, Slovak, Danish, Lithuanian, Latvian, Slovenian, Irish, Estonian, Basque, Icelandic, and Luxembourgian in Latin, Cyrillic, Greek, and other scripts. 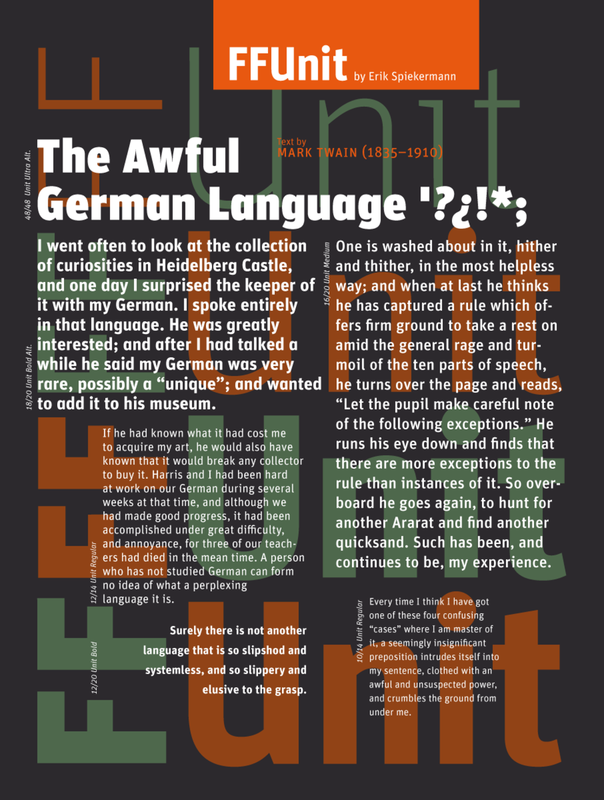 A grown-up, no-nonsense sibling to Erik Spiekermann’s popular FF Meta, FF Unit irons out many of the quirks of its predecessor, dialing back the warmth to a comfortable, if a bit cool, room temperature. 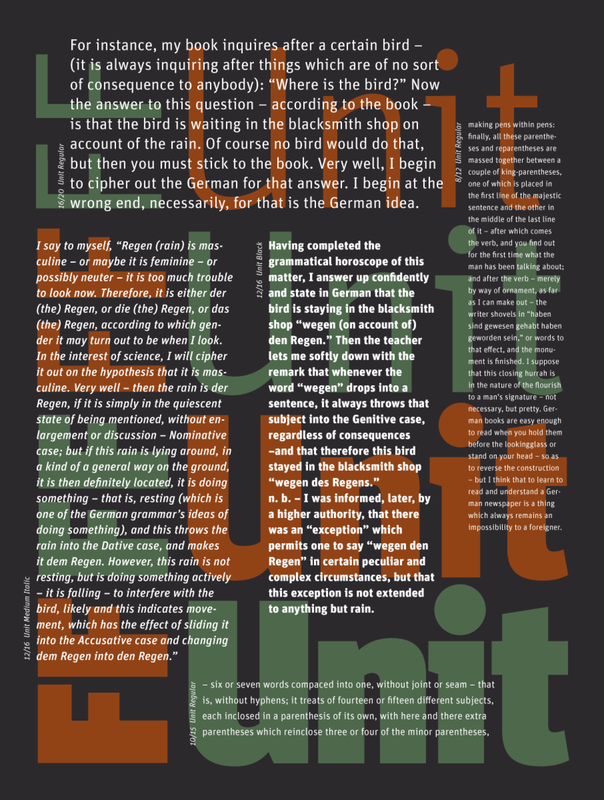 Set at small sizes, FF Unit’s legibility is aided by its increased contrast and simplified forms, all of which (a, g, i, j, l, U, M) have alternates. 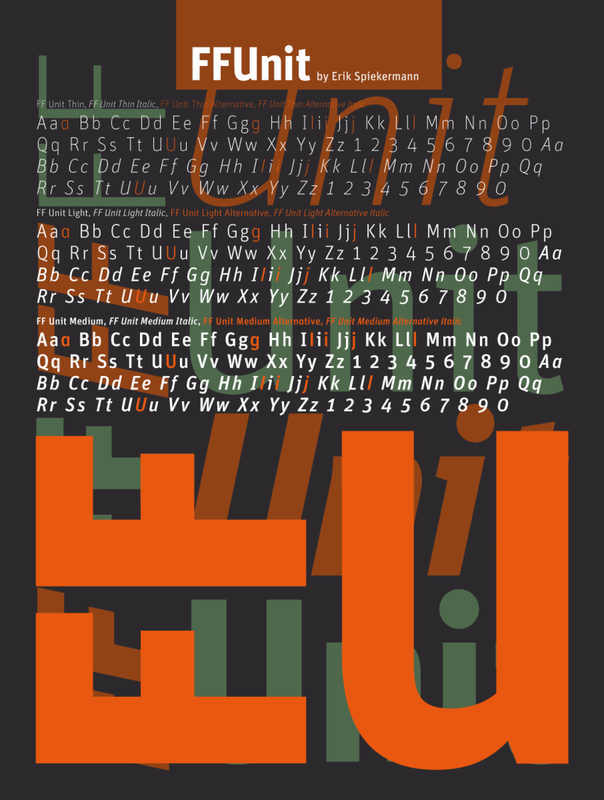 First released in 2003, FF Unit later underwent an expansion to include a rounded variant in 2008, and in 2009, a slab serif companion was produced with the help of collaborators Christian Schwartz and Kris Sowersby. Each style of FF Unit and FF Unit Slab carries extensive language support for Latin-, Greek-, and Cyrillic-based languages.